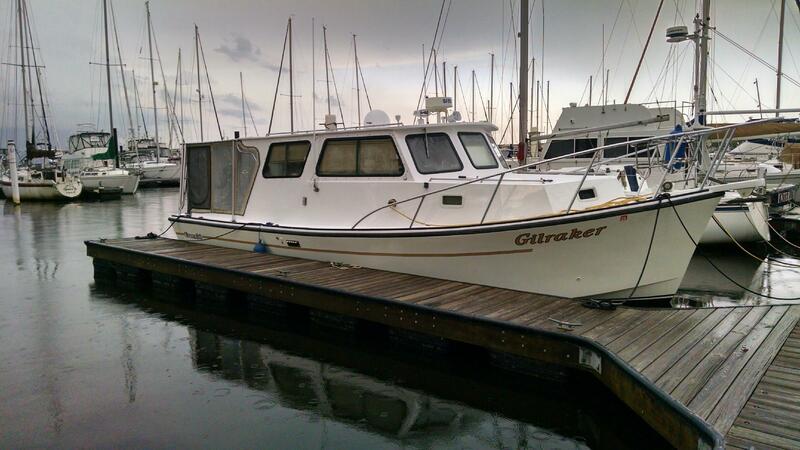 Gilraker has had quite an adventure without being on the water. 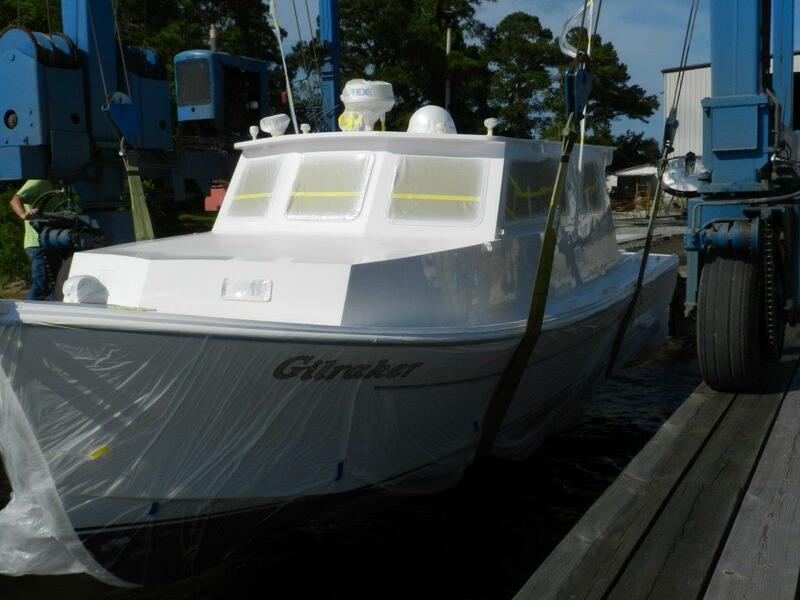 From the gun’les up she has had hardware removed, holes patched, a new propane tank installed with a new vent, a water tank removed and lots and lots of sanding, before being repainted with Awlgrip. She is very shiny now. . . apparently this paint will not require any waxing. That will be a money AND a time saver. Troy and I are very very happy with the job that was done by those working at Bridgeton Boatworks. … . Mike and Ginny and all the guys who work there are fun, professional and make your repairs as if they were working on their own boat. 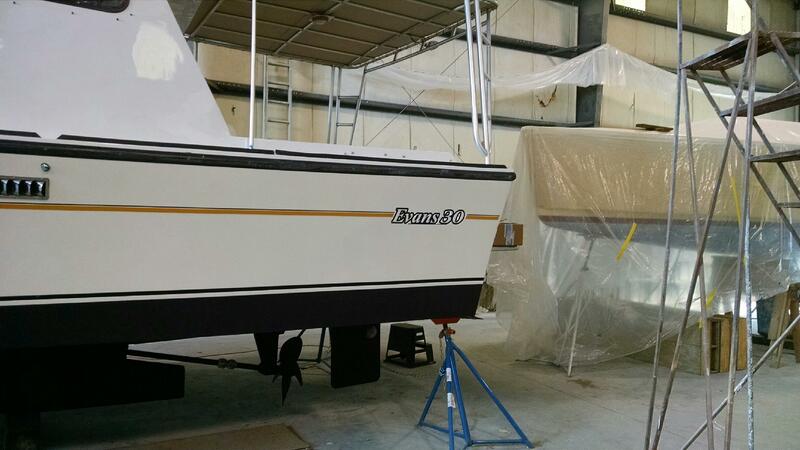 They offer alternatives if you have a concern about $$ and they will allow you to work on our boat as much as you are able to offset cost. 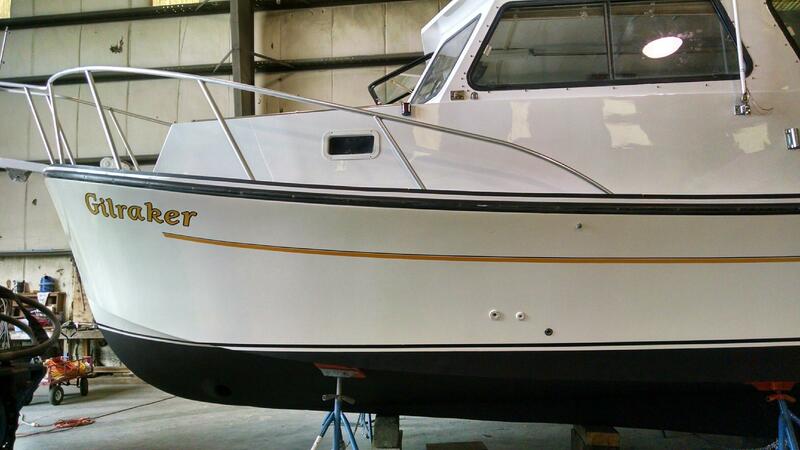 For a small cost you can also ask to have a specific contractor do some work on your boat. We recommend them and will use them again if we need to haul and or work on our boat out of the water. So she no longer has the storage boxes on her roof. Her lines are more sleek. The cockpit is bigger since the unneeded water tank has been removed. She is very very close to being ready for an overnight trip. I would like to have a few more spaces to store food. We have been looking at a couple of sliding drawer sets that we might be able to install. . ..we shall see. .. . ..
Until then I’ll leave you with a few pictures of her . . . .